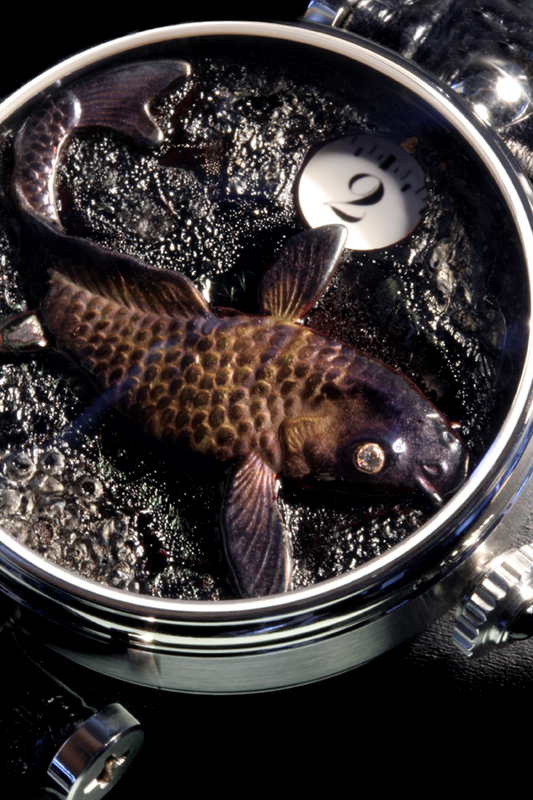 Swiss watch company Angular Momentum represent its new model called “The Aquarium.” Aquarium shows a popular in Far East fish – Koi – in a muddy pond. 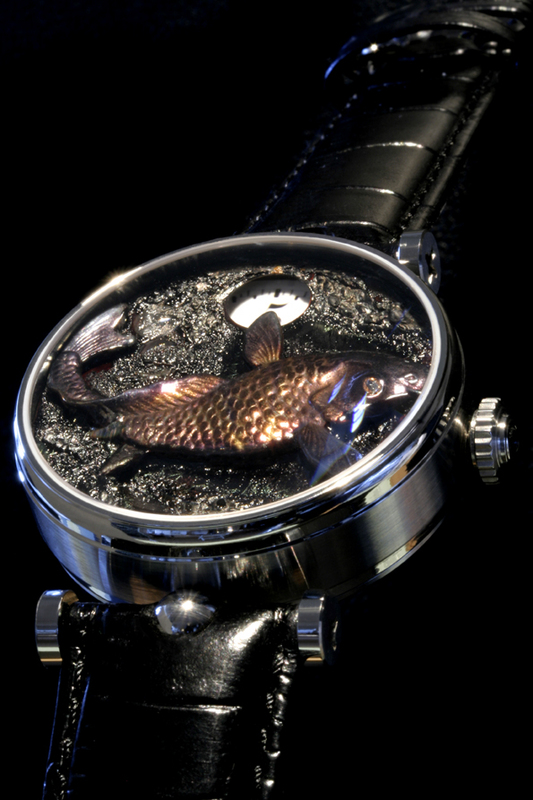 It’s engraved in very high relief 925 silver, purple gold and Ruthenium treated surface. 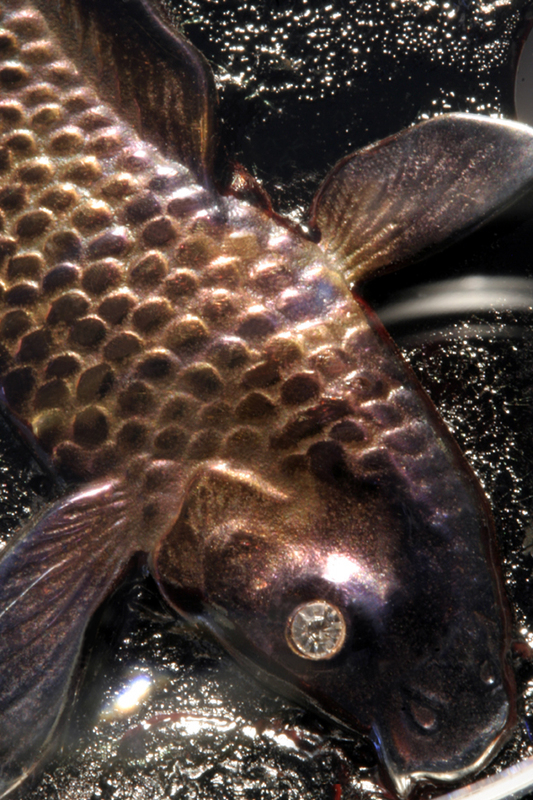 The eye of a koi made out from a diamond and the ground is done in black Ishime Urushi natural lacquer. The watch case is in Staybrite steel with polished and satin finished surfaces measuring 43mm wide by 16mm thick. 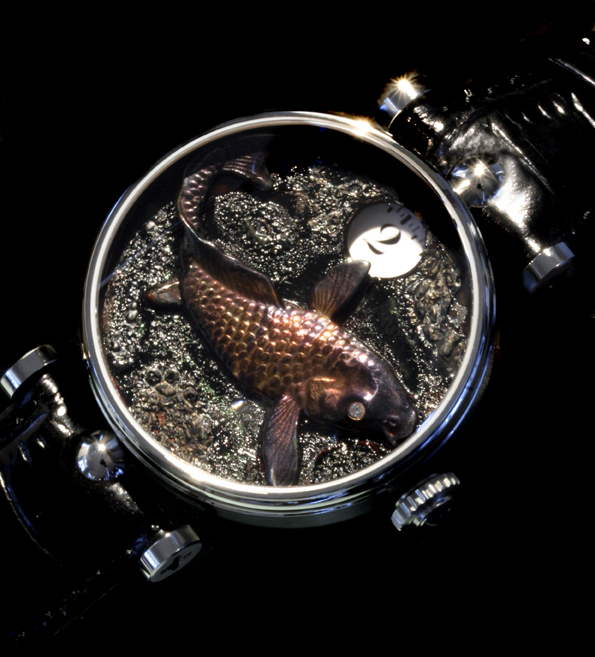 The time is shown by single disc that spins behind the koi. 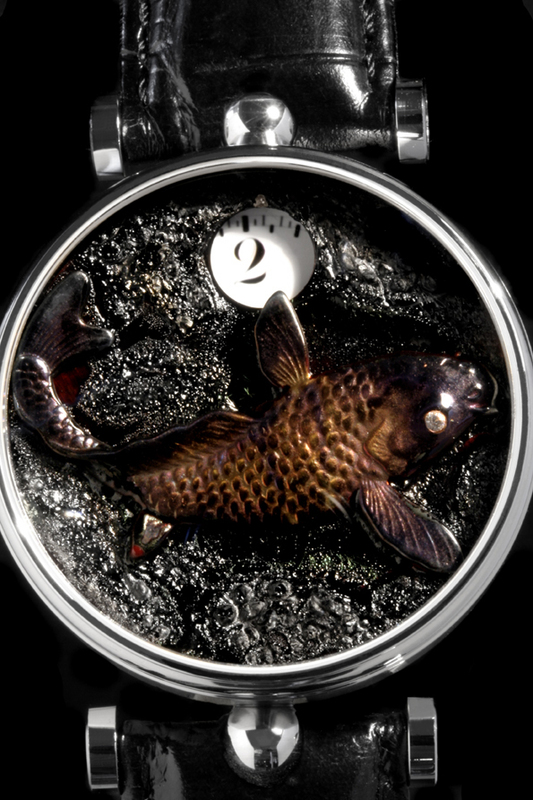 These extremely beautiful luxury watches will be availiable in limited edition soon. And also you can check 50 Best All-Black Watches for Men.